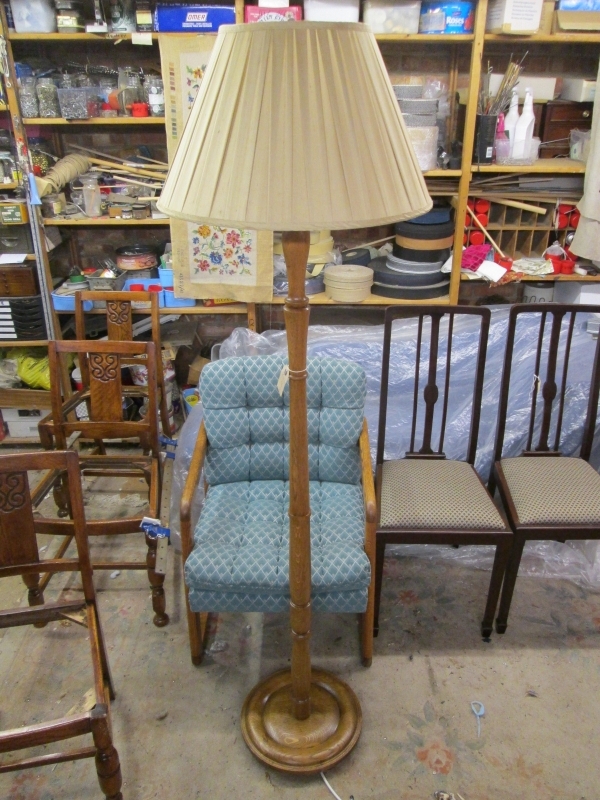 This stylish lamp is hand turned and was previously painted with old dangerous lead based paint. The lamp stand has been stripped back to its lovely grained oak show wood and has been traditionally re-polished using the finest shellac etc. 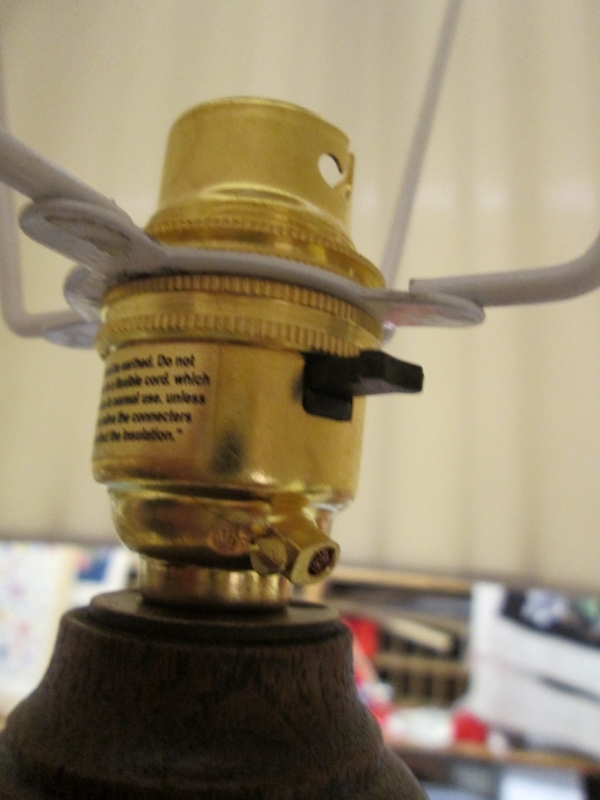 The lamp is rewired, new earth cable, new earthed switch and new fused plug. 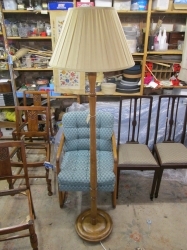 A fully restored quality lamp which is like new again but with the dating and style of the Art Deco period. Dimensions - height 159 cms, diameter excluding shade 35.5 cms. Silk shade used for illustration purposes only. Can be purchased separately.